Spanish home with beautiful curb appeal and deep circular driveway. 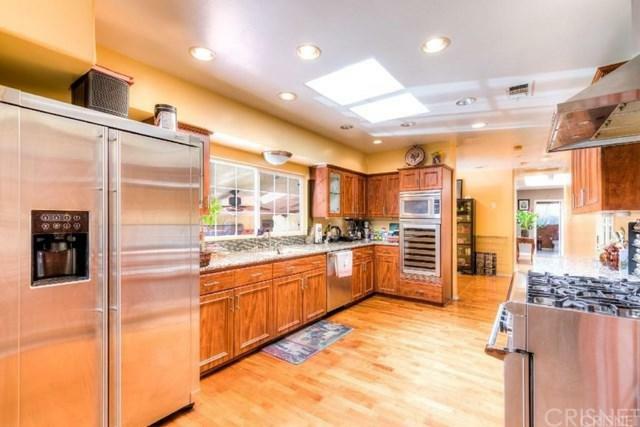 This home boasts 4 bedrooms and 4 bathrooms with 2791 sq feet. 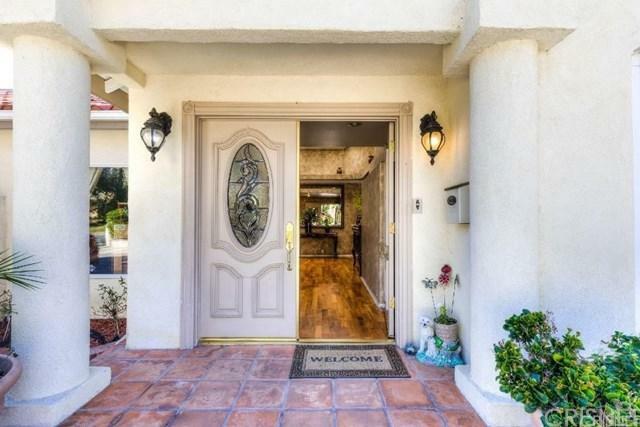 Walk into this grand entry with walnut hardwood floors. Homely living room with recessed and tract lighting shining above the fireplace. Formal dining room. Gourmet kitchen with plenty cabinet space and high end stainless steel appliances. The immense master suite encompasses tile flooring, walk in closet and a private deck overlooking the back yard. Guest house has a bath and wet bar. Step outside into the lovely back yard and entertainment area with custom BBQ appliances and commercial grade food preparation area with stone pizza oven. Enclosed sitting area with custom outdoor fireplace, gas heaters, fans and drapery. Enjoy the hot summer days in the beautiful diamond blue solar heated pool. 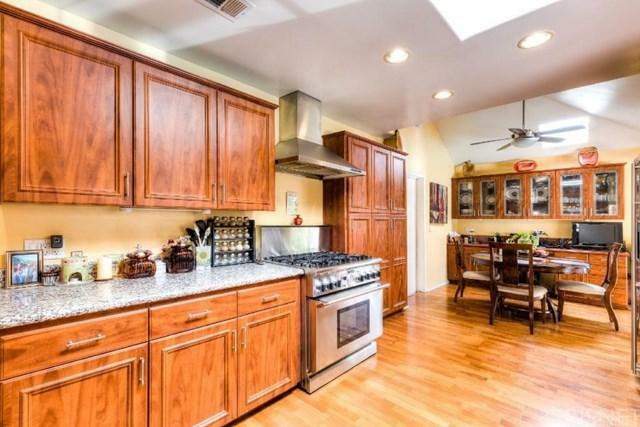 This property is perfect for entertaining and located on a quiet street.